Acquiring a hamster is a big responsibility -- one that involves everything from learning your pet's specific dietary needs to understanding his daily exercise requirements. If you wish to bring a cute hammie into your life, a hamster wheel is one of the first things you need to get. According to the ASPCA, hamsters in their natural habitat might run up to 5 miles every night in their quest for sustenance. Hamsters follow nocturnal sleeping patterns. So you might hear your little one making good use of his wheel at all hours of the night, whether you have work the next morning or not. Hamsters also do a lot of scratching and digging. Because of these somewhat noisy habits, hamsters are particularly suitable for people who aren't especially light sleepers. If every slightest squeak or sound breaks you out of a peaceful sleep, a hamster might not be the most appropriate furry companion for you. Hamsters spend a lot of time using their exercise wheels. So it's crucial to get the safest possible wheel for your pet. The Humane Society of the United States recommends wheels that have solid surfaces, as open wheels can be hazardous. Wheels that feature rungs also could be harmful, the society warns. 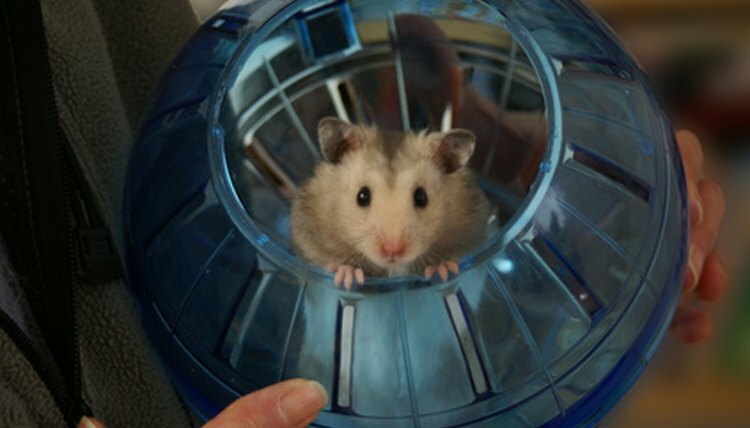 Hamster wheels are 100 percent vital for keeping hamsters happy, healthy and physically fit. These creatures absolutely need to run. If you want to make sure your tiny pet remains in glowing health -- not only in body, but also in mind -- a hamster wheel is the way to go.